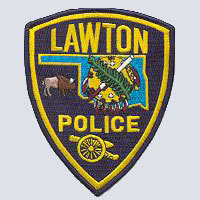 The Lawton Police Department employs 157 commissioned full-time police officers including the Chief and Deputy Chiefs. Up to 10 retired Lawton Police Officers also work part-time due to military activations. 25 volunteer Sentinels assist the department with a variety of police related functions. An additional 52 civilian personnel provide support services including dispatch. 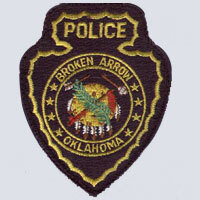 Through the application of the core values of Community Leadership and Professional Excellence, the men and women of the Broken Arrow Police Department seek to proactively address crime, identify and respond to community concerns, and create an environment of trust, justice, continuous learning and professional pride. The Broken Arrow Police Department is staffed by 123 Police Officers and 48 civilian personnel. 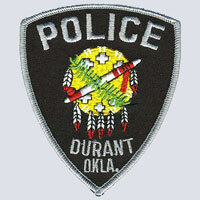 It is the mission of the Durant Police Department to safeguard the lives and property of the people we serve, reduce the incidence and fear of crime, while working with the community to improve their quality of life. We do so with honor, integrity, and courtesy at all times conducting ourselves with the highest ethical standards while maintaining public confidence. It is a collaboration between police and community, that makes the Guymon Police Department an effective and successful organization. The police no longer are the sole guardians of law and order; all members of the community become active allies in the effort to enhance the safety and quality of our neighborhoods. 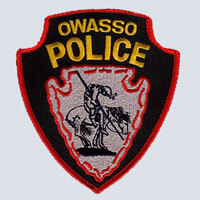 The mission of the Owasso Police Department is to work in partnership with the citizens of Owasso to enforce the laws and to enhance the quality of life in our community. 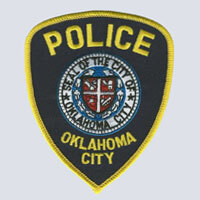 The Oklahoma City Police Department has a group of specially trained officers whose focus is presenting information to neighborhood associations, businesses, churches, and other groups on a variety of issues including safety, crime prevention, drug abuse, and numerous other topics for which you can make requests. The PCR officers can also provide you with information concerning how to set up a neighborhood association and neighborhood watch patrol.